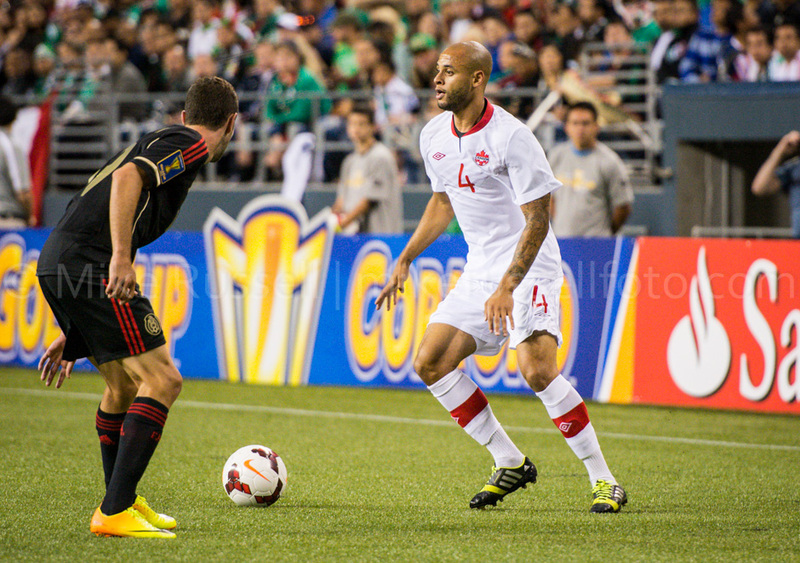 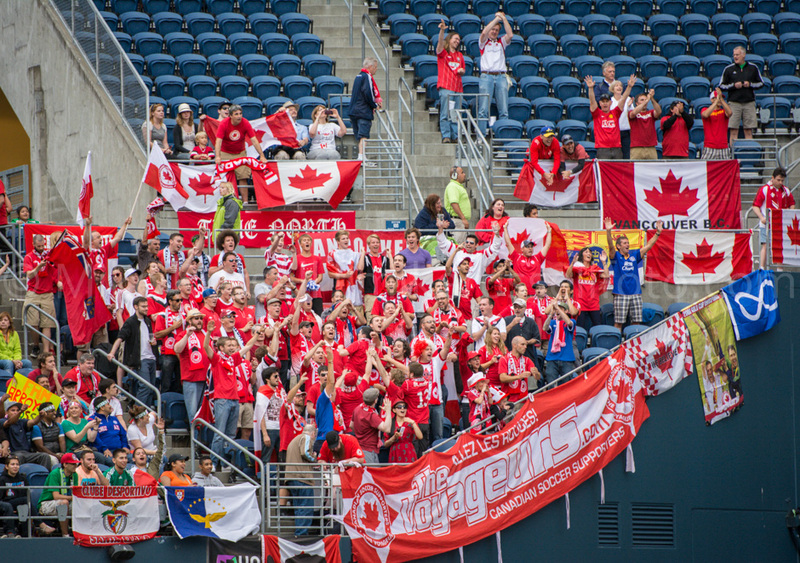 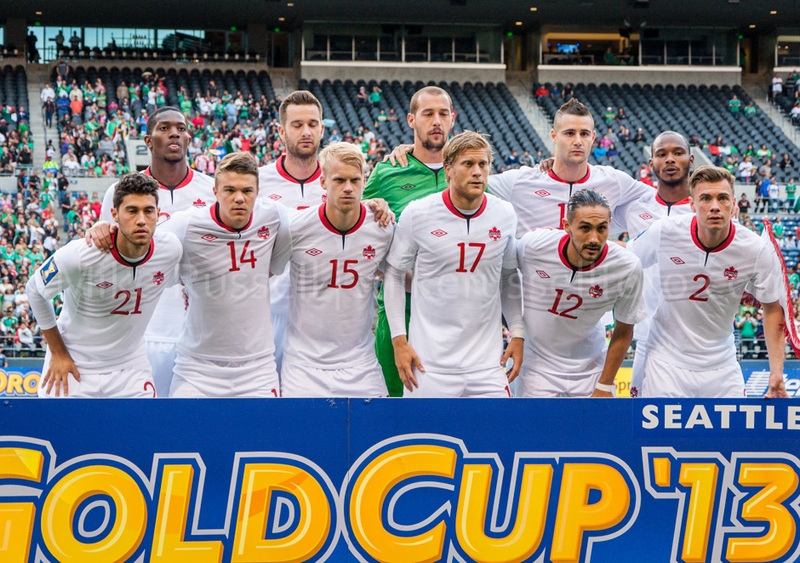 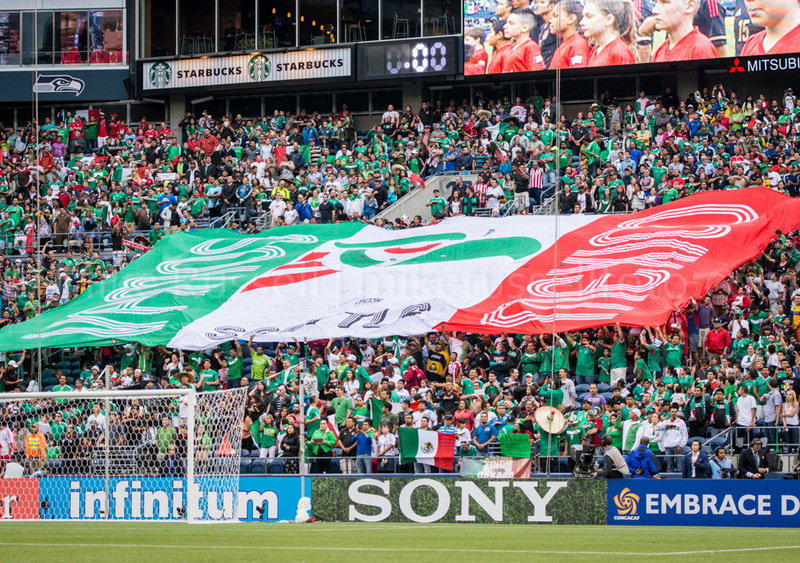 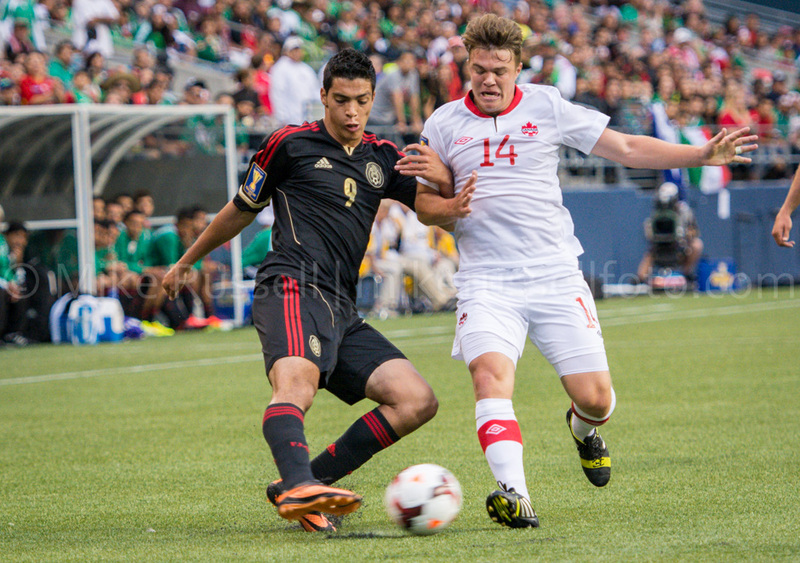 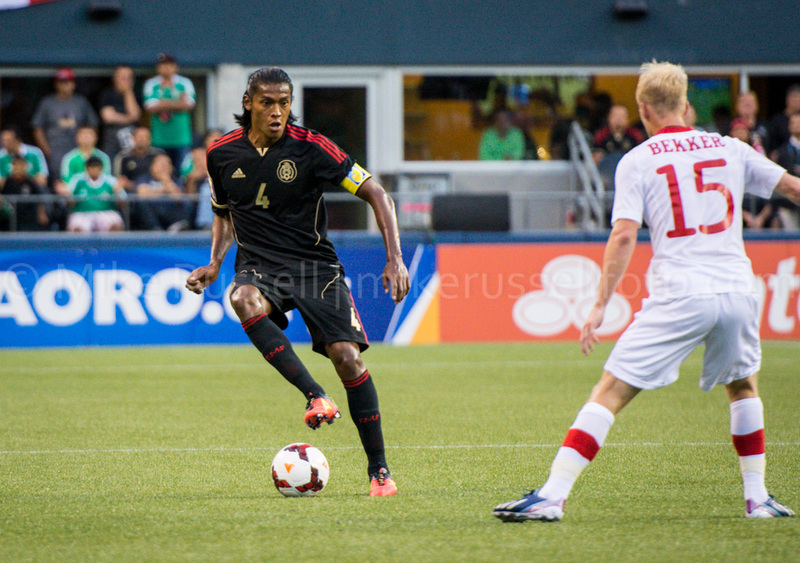 On Thursday night, the Mexican and Canadian National Teams met in a Gold Cup group stage match in Seattle, WA. 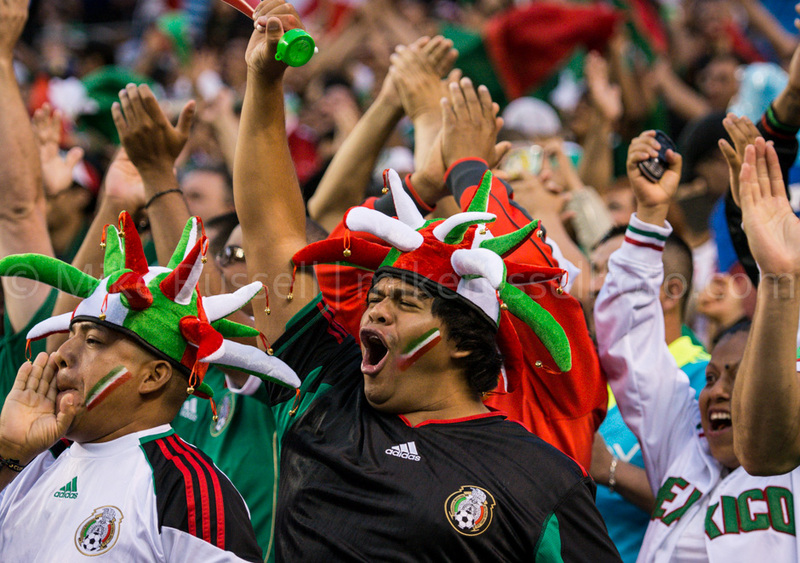 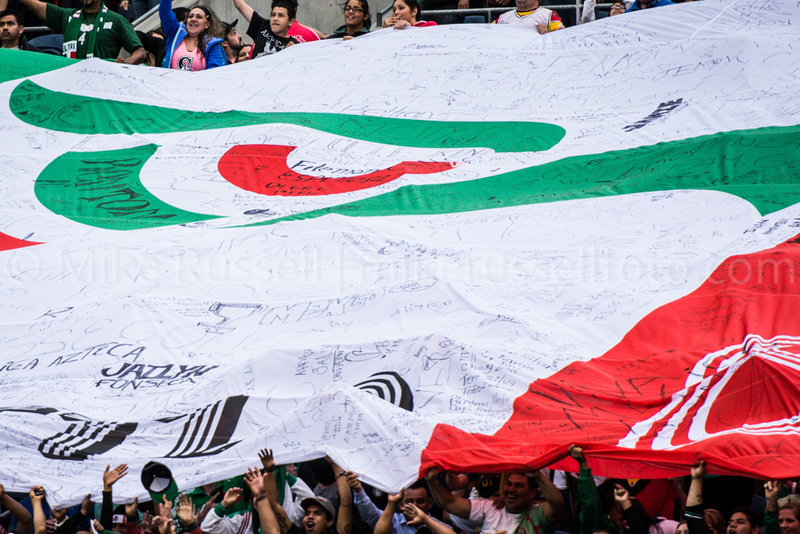 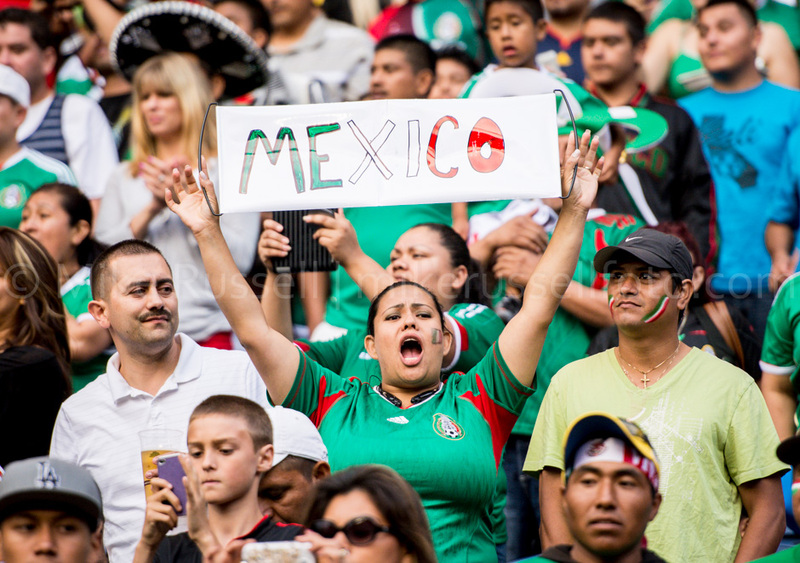 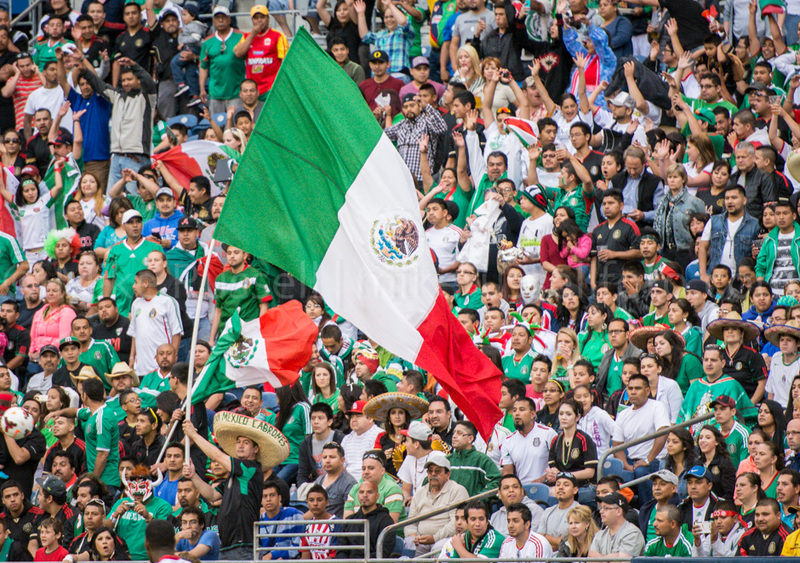 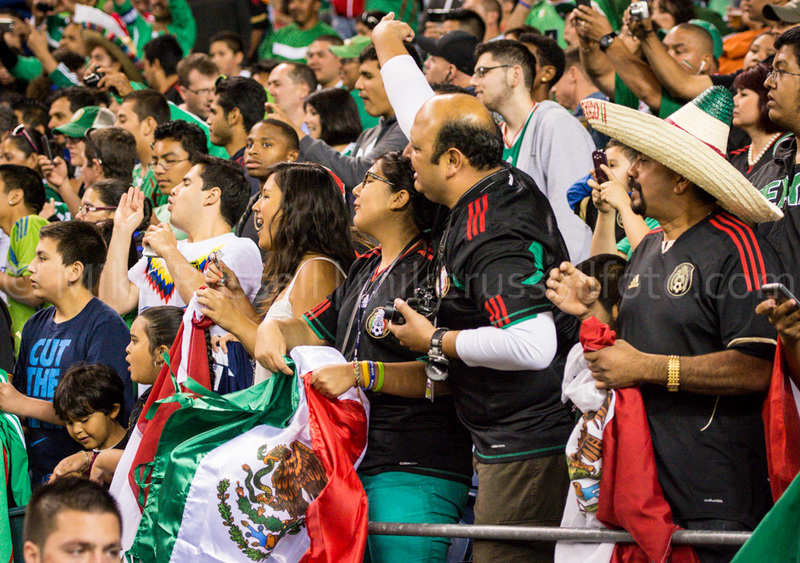 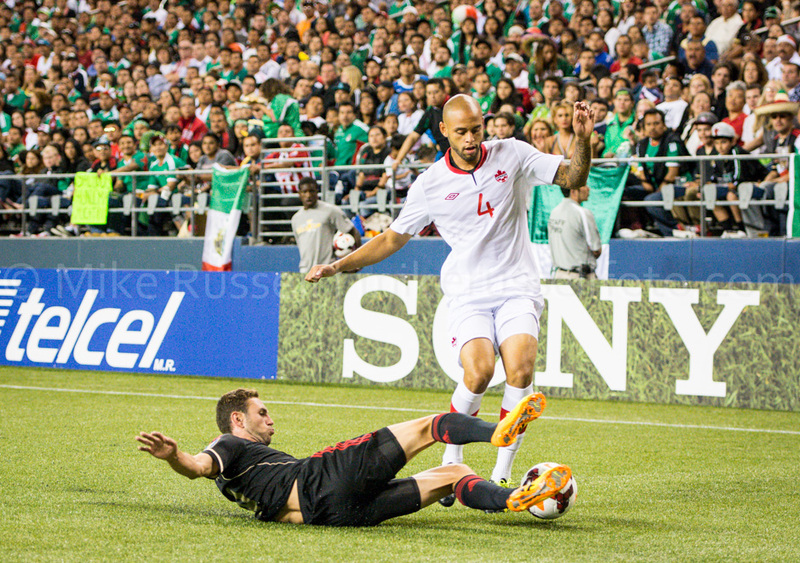 After recent struggles, Mexico recorded a 2-0 win over the Canadians. 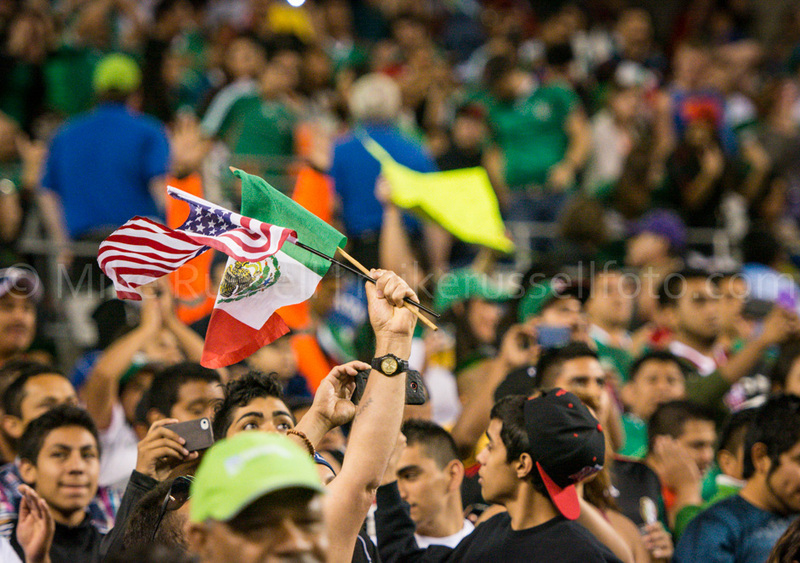 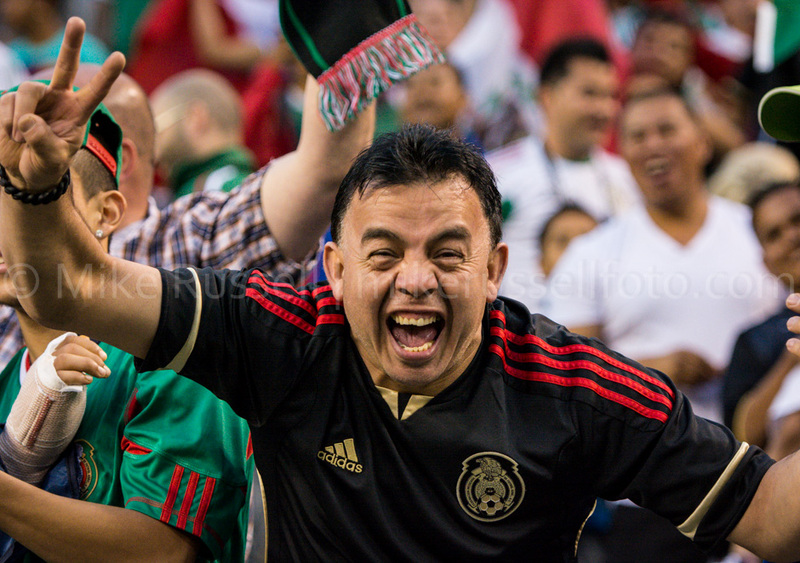 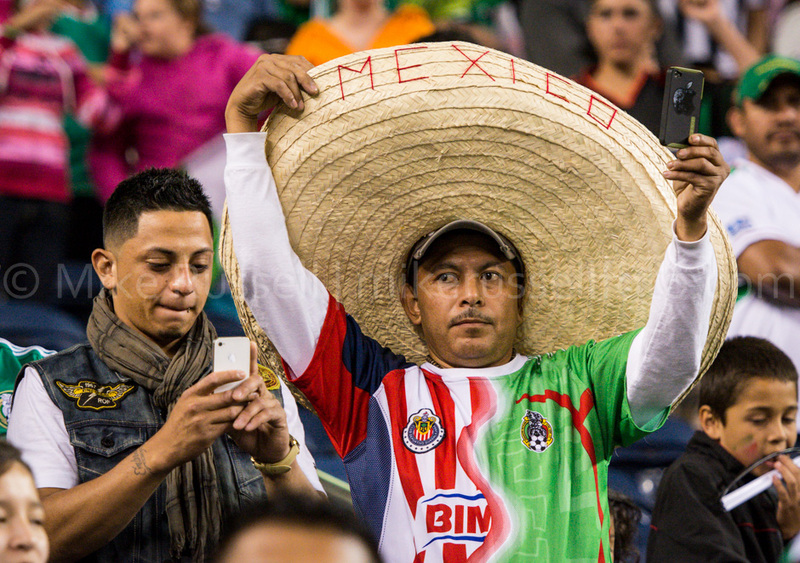 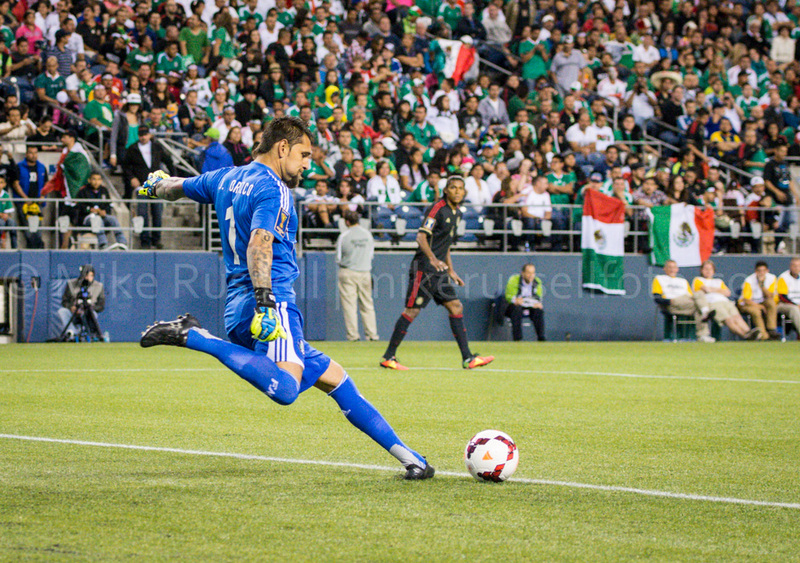 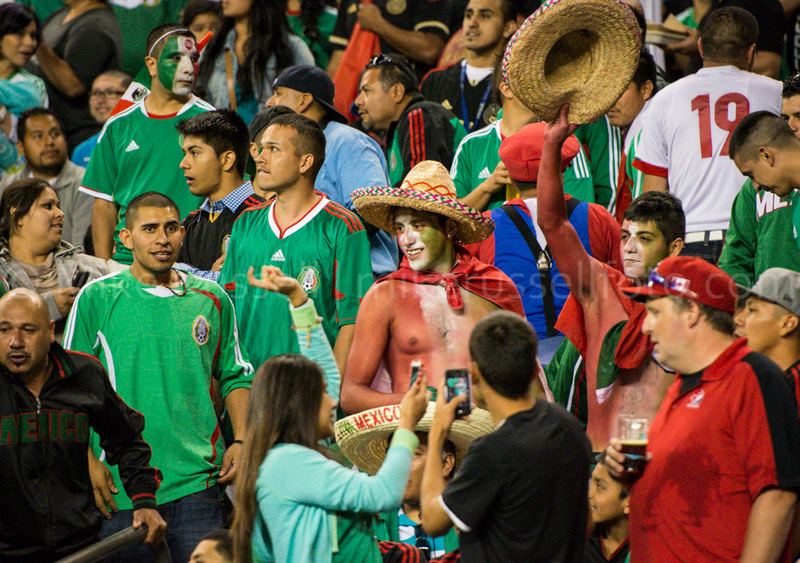 This was my first time shooting a match involving Mexico. 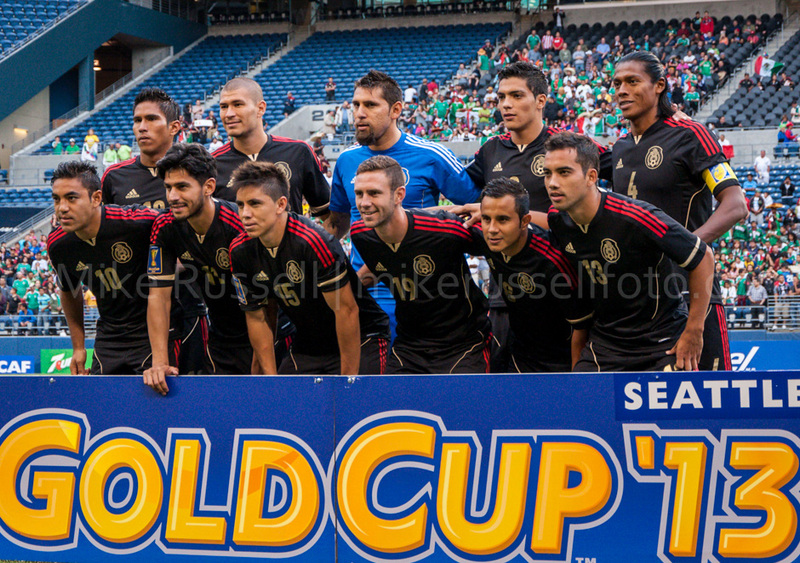 I’d of course watched them play on TV and have known about their passionate fans. 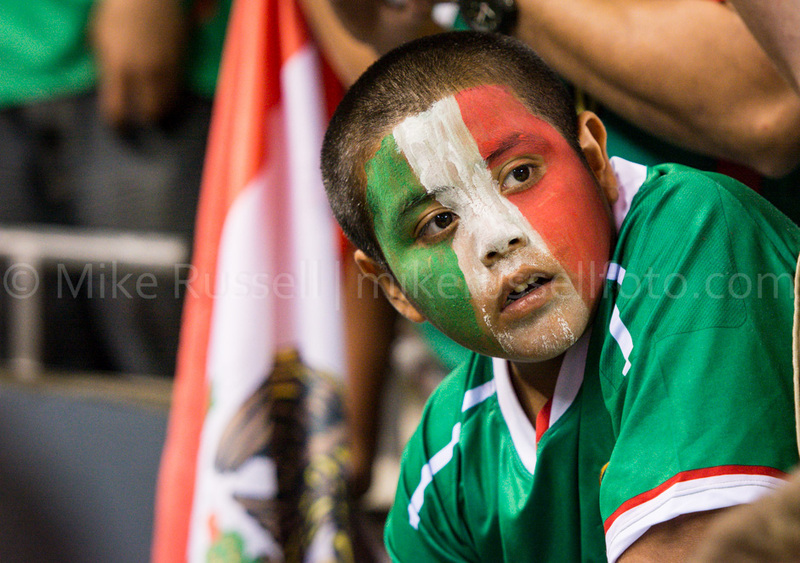 But watching on TV is nothing like being there. 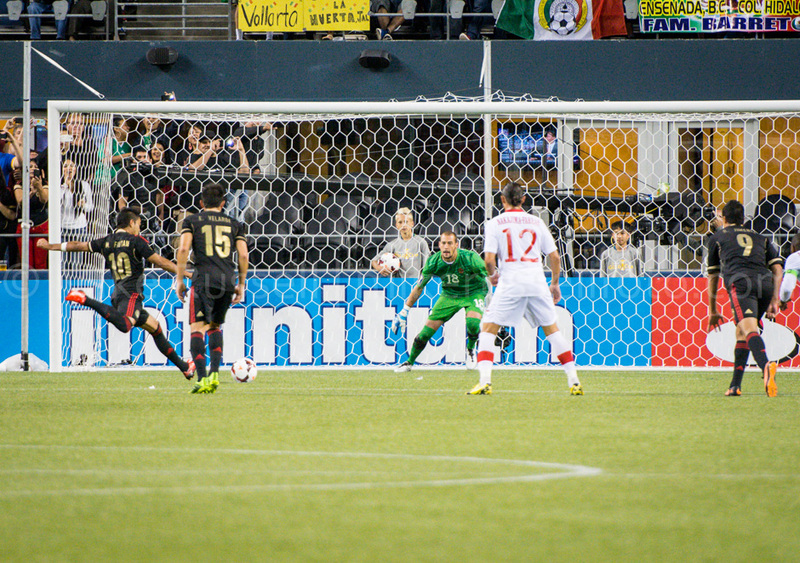 To be honest, it was not the most thrilling match to shoot. 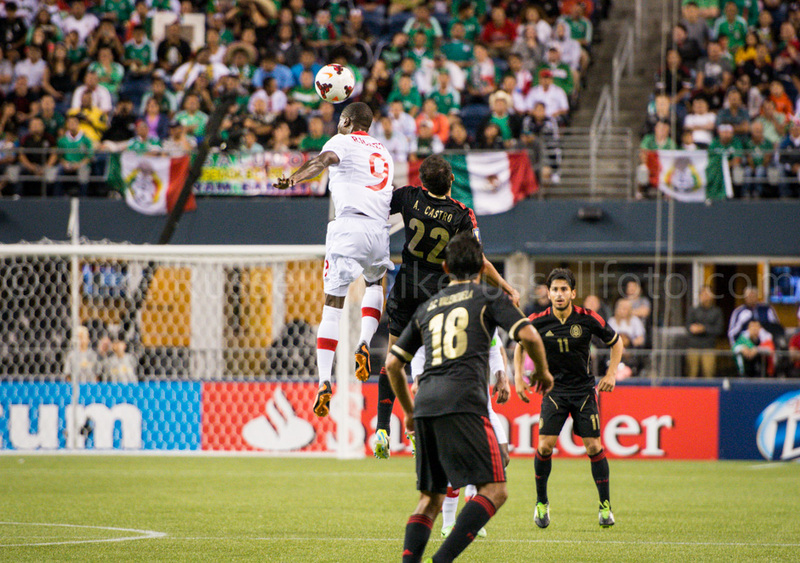 There seemed to be long periods of time when Mexico was in possession and Canada was not pressing much. 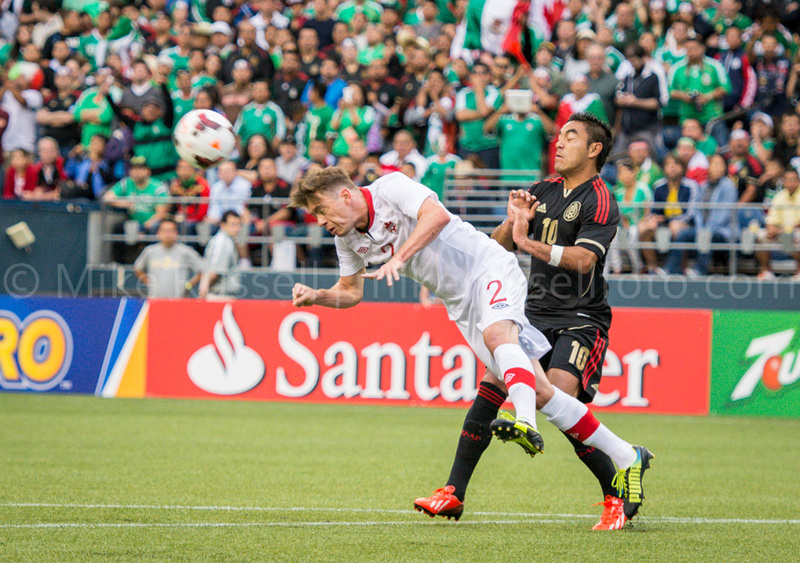 Simple passes between defenders do not make for very compelling photos! 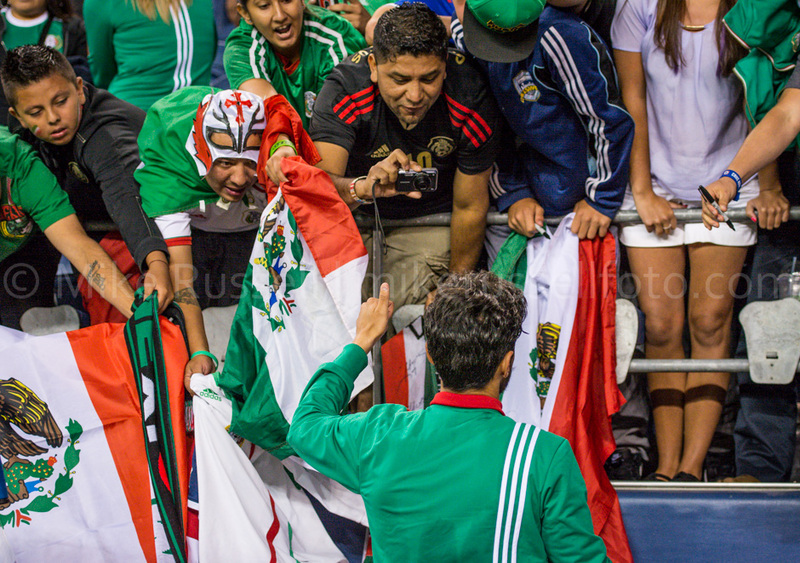 But there were a few good moments, and of course, the supporters. 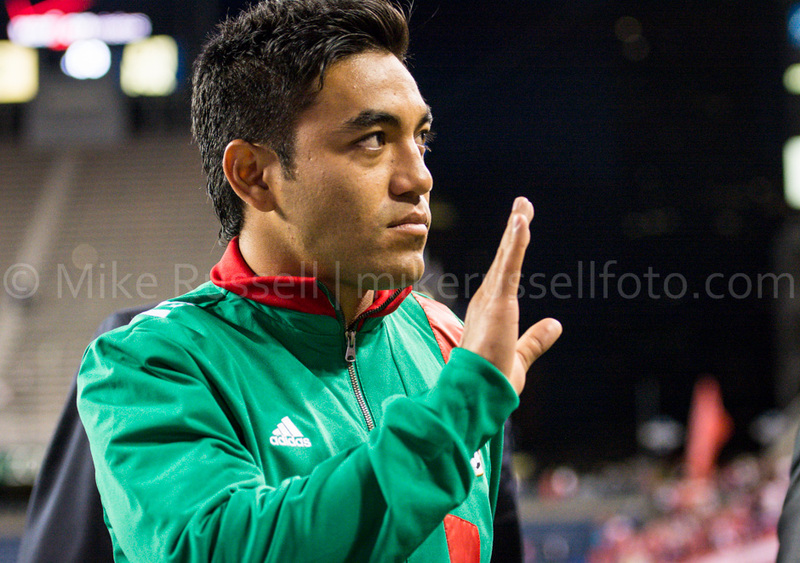 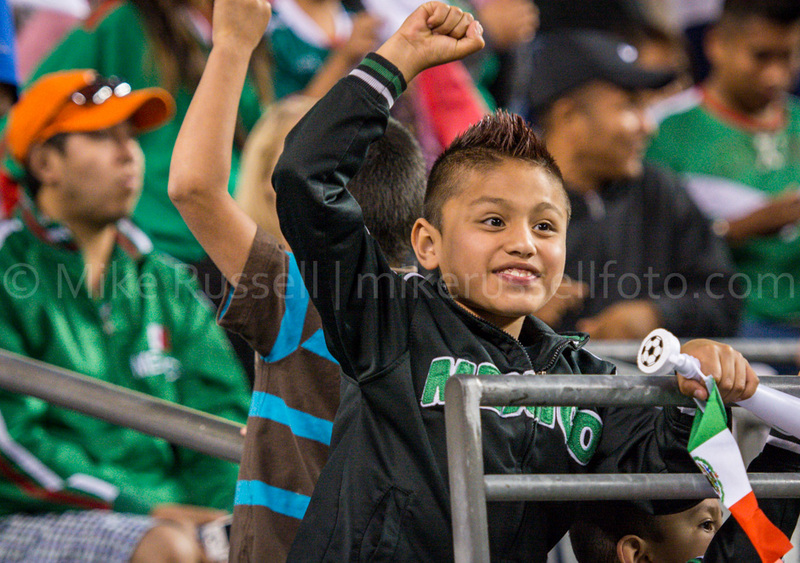 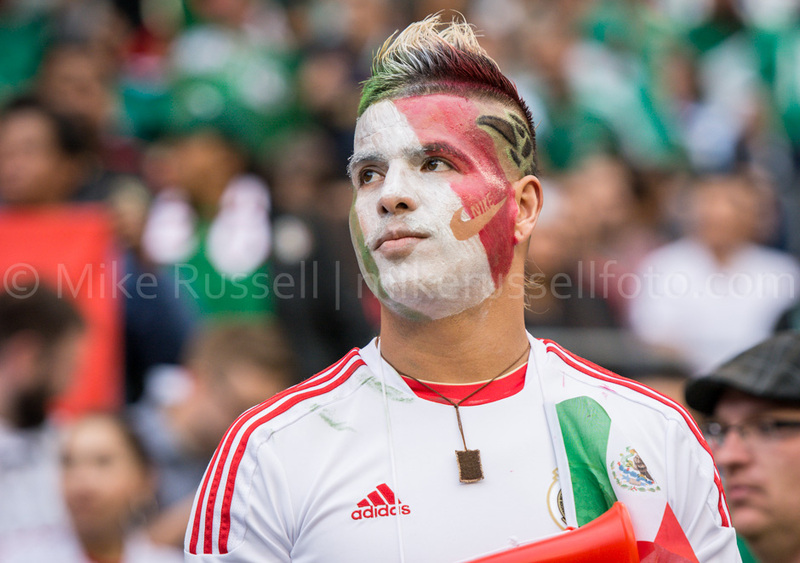 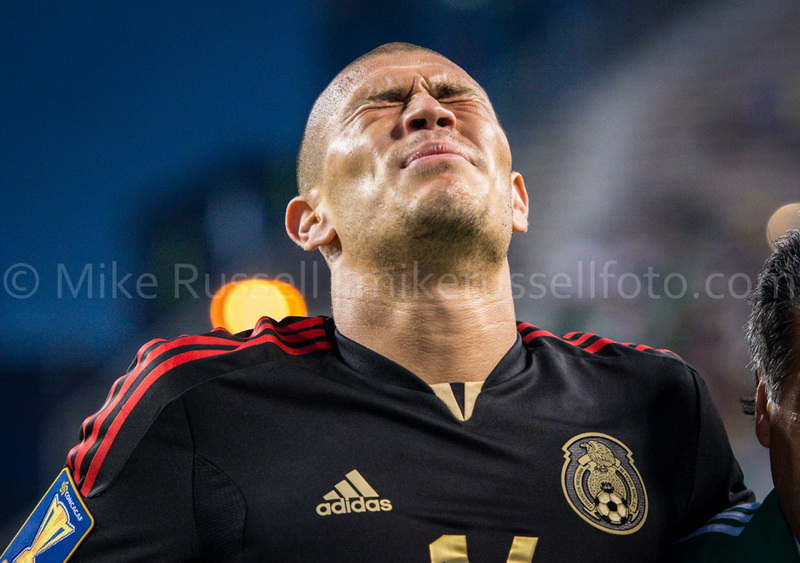 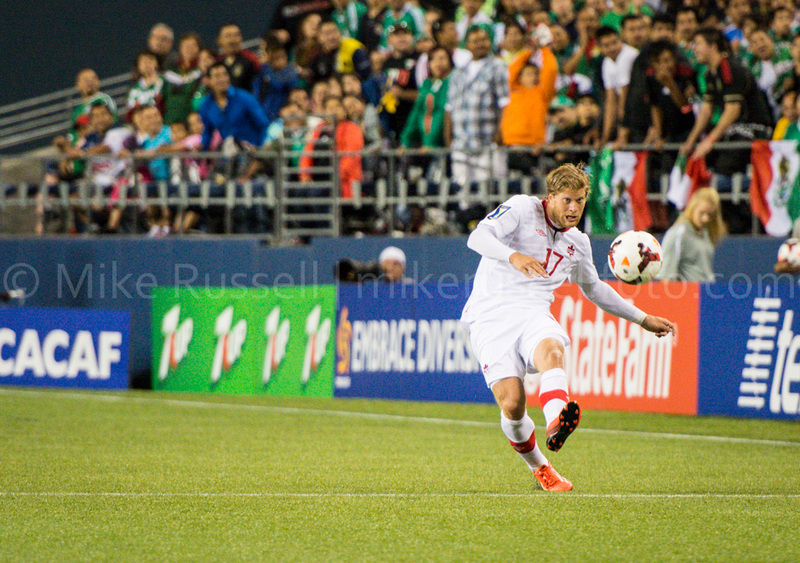 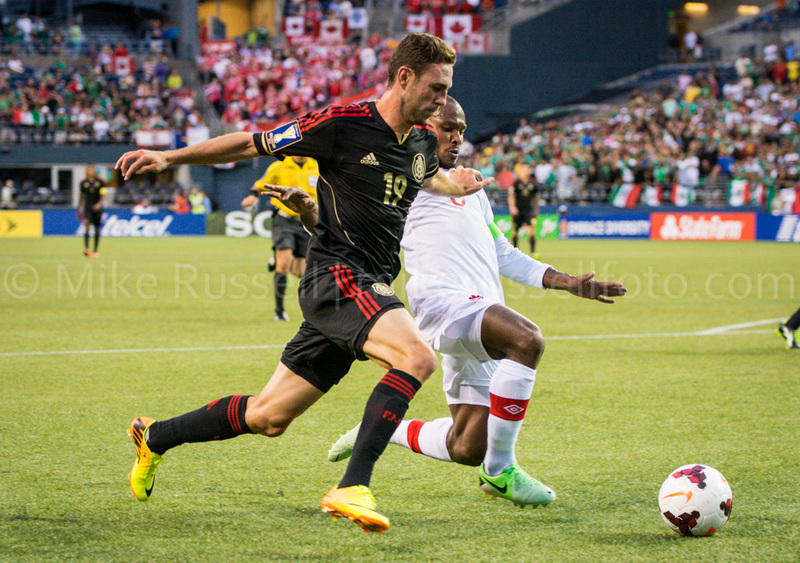 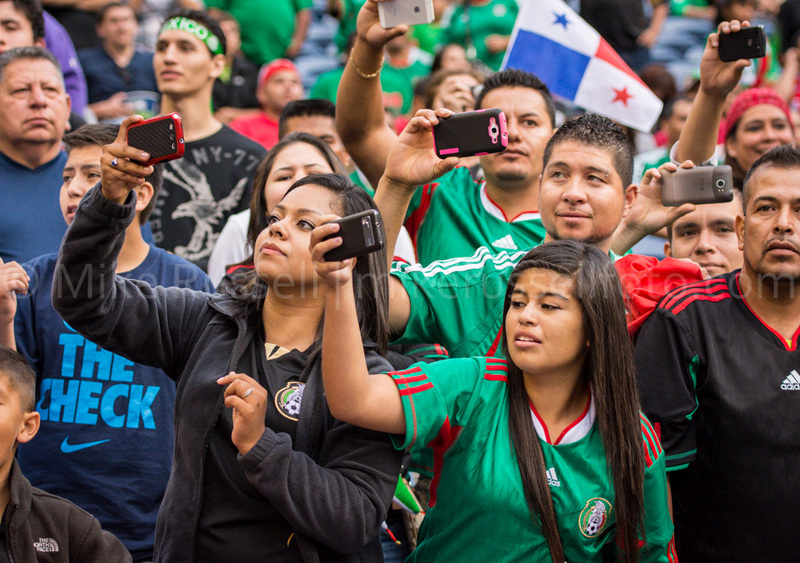 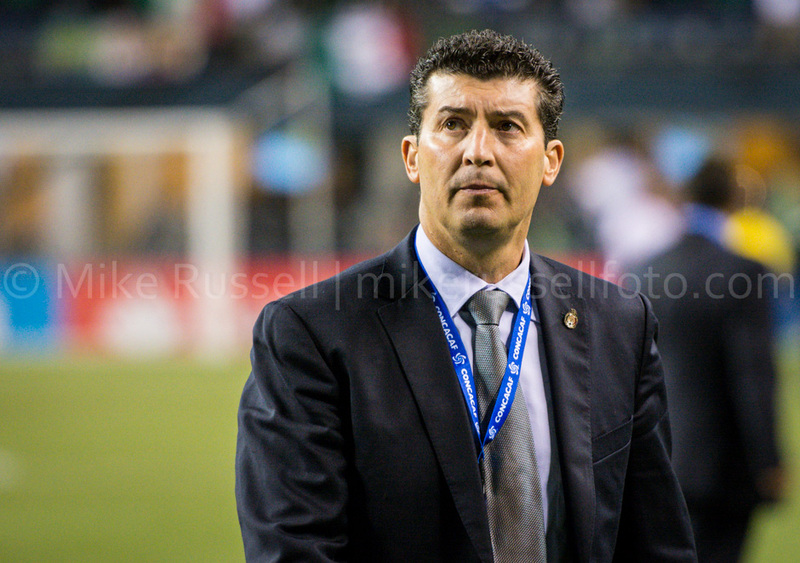 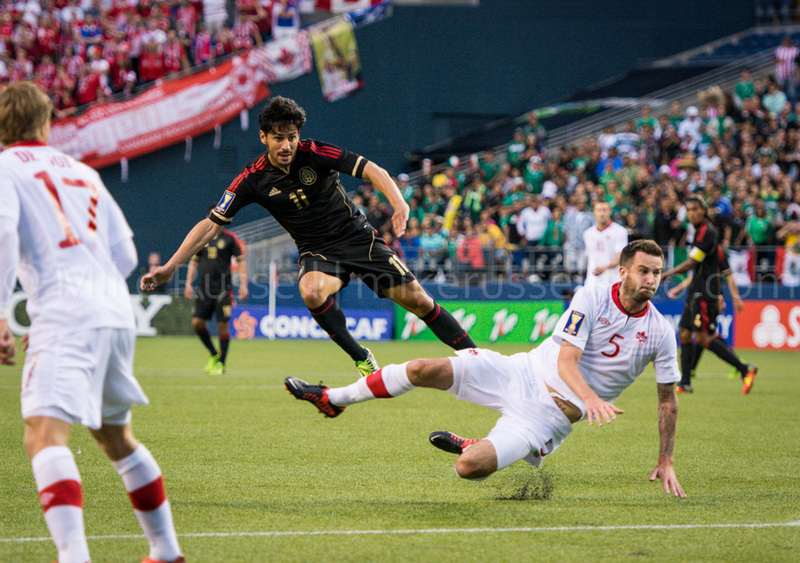 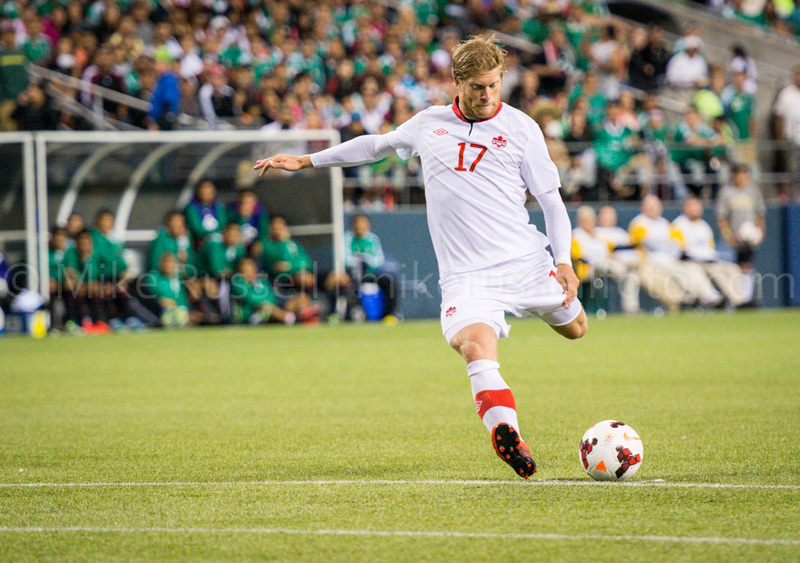 Canada, CONCACAF, Gold Cup, Mexico, Mike Russell, mikerussellfoto.com, photo, photography, seattle, soccer, sports photography.